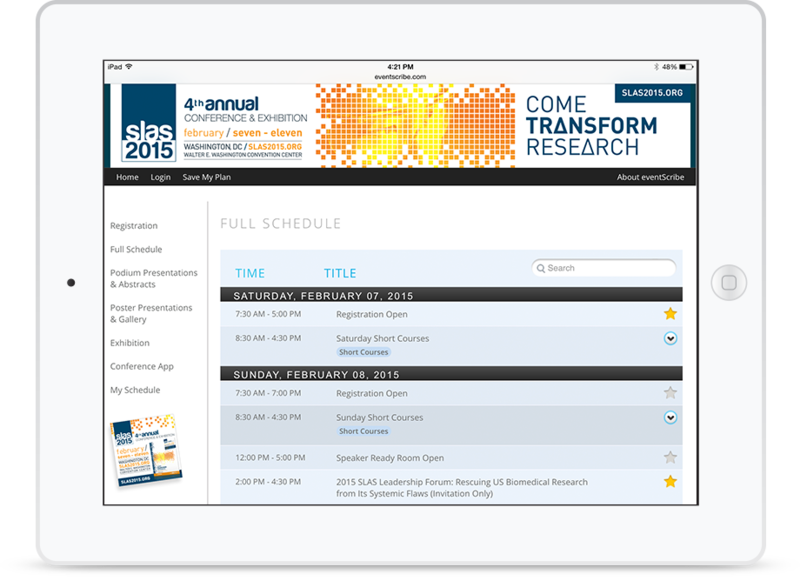 The only app you need for attendee engagement and education. eventScribe makes note-taking at educational events better than ever before. Your attendees can view your full event schedule, choose their sessions, then highlight, annotate, and draw right on high quality versions of your speakers' presentation slides. eventScribe takes audience response one step further. In addition to live polling, your attendees can ask speakers questions, connect on social media, post comments during sessions, and share their presentation notes with other attendees. Twitter, Facebook, and LinkedIn are essential for your engagement strategy. But what if you could have your own social platform for your event? Share news from your blog or show daily and give your attendees the opportunity to connect one-to-one with eventScribe. 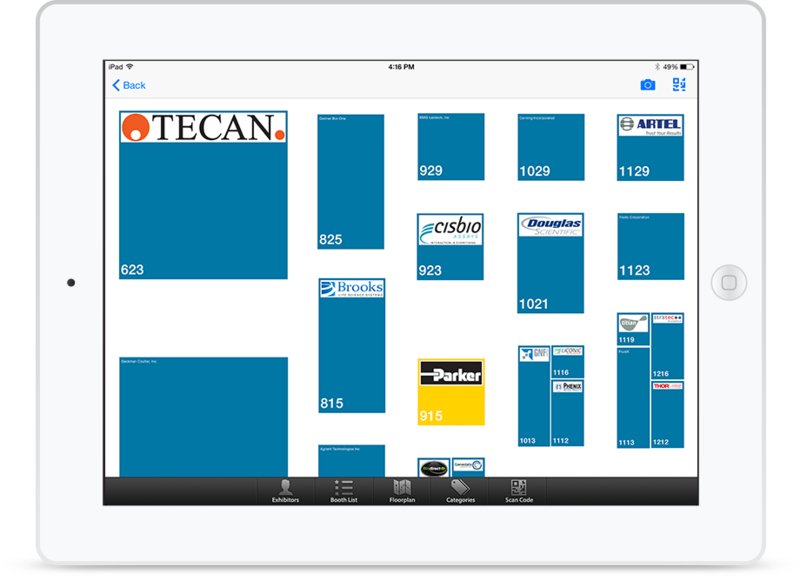 eventScribe is the ultimate sponsorship opportunity for your exhibitors. Attendees love testing their knowledge with the educational scavenger hunt game and seeing their scores go up on the live leaderboard. Plus exhibitors can sponsor questions at their booth or around your conference while capturing important leads. It's a win-win for everyone. Backend tools built for event managers and trade show organizers. eventScribe's tile design home screen gives you the flexibility to sell and display sponsorships any way you want. Full screen ads, rotating banners, event sponsored sessions. The possibilities are endless so you can sell more sponsorships and keep costs low. Make an app uniquely your own for every event. Custom branding options lets you make your icon, buttons, and banner advertising simple to design. A flexible tile design gives you the look and feel you want for every event, and even link to external websites with an in-app browser. Use CadmiumCD's Conference Harvester to make changes to your schedule, sessions, exhibitors, or speakers. Update attendees with push notifications and alerts. Use CadmiumCD's Hermes Speaker Ready Room Software to let speakers make last minute changes onsite or to update GES Digital Displays. Whether you're planning annual conferences, chapter meetings, or training programs, eventScribe has what you need for every educational event. 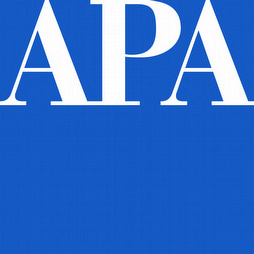 Our clients use our event management platform for their association, CME, and corporate events. Some even bring all their events together in our multi-event directory app. eventScribe Boost allows you to contact team members, vendors, and other stakeholders at the touch of a button. You can also create to-dos and prioritize tasks so your team can react to your conference's needs in real time. Best of all, you can access notes, tear sheets, room setups, and other logistics details, all from their event app. 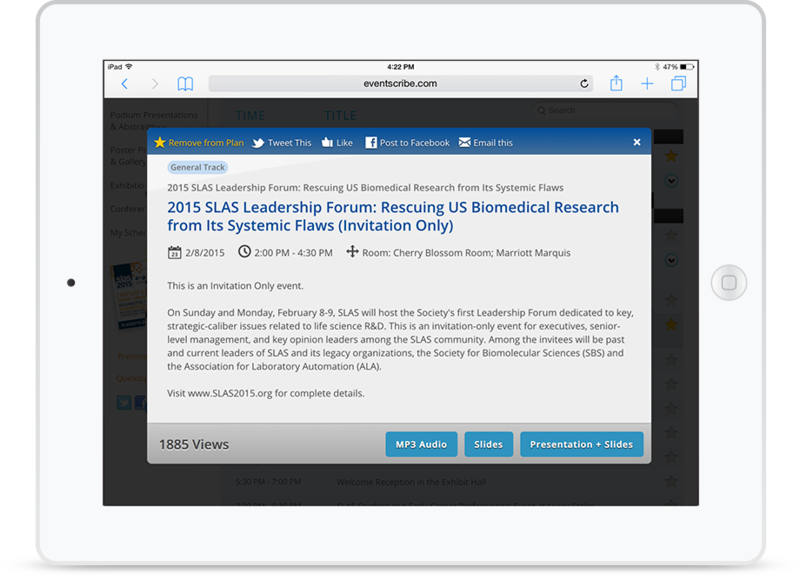 Host multiple events and global conferences in one app. Has your organization hosted more than one event? Do you plan to hold multiple conferences in the future? Why bother having multiple apps? 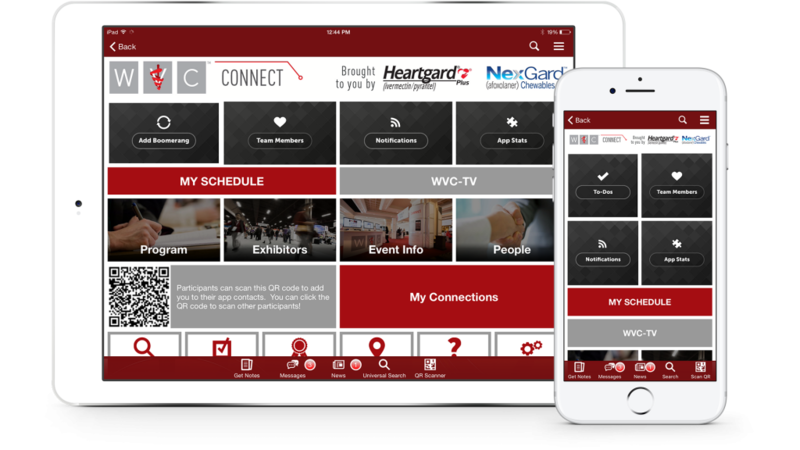 All your conferences are accessible from the eventScribe Multi-Event Directory App. Do attendees travel from all over the world to attend your conferences? Do you sometimes deal with challenging language barriers? Well, the eventScribe Multi-Lingual Mobile Event App will shatter those boundaries and bring your attendees closer. 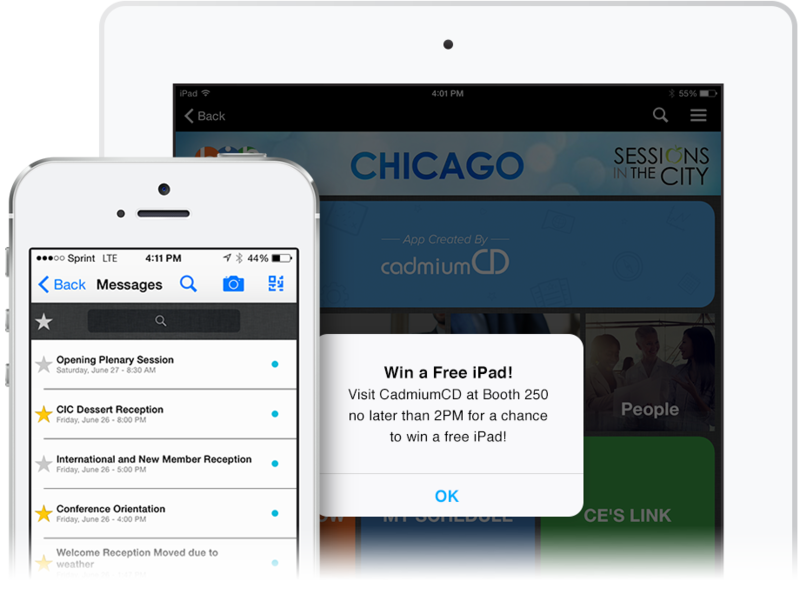 The eventScribe app is only one part of CadmiumCD's Event Management Platform.